The latest offering from Callaway is the result of four years of A.I. research and comes from the brand’s use of a “super computer” to help it achieve the fastest face possible. Meet Flash Face Technology, featuring non-intuitive thickness patterns across the clubhead face that look like dozens of subtle ripples or waves, flowing from the heel to toe to work in unison with Jailbreak and elevate COR in the face’s centre region. Using the computer, Callaway was able to obtain over 15,000 clubface optimisations, testing each to discover the best one. A process that Callaway states would have taken about 34 years to do on a normal desktop computer. Beyond the incredible Flash Face, the Epic Flash Driver relies on both new and improved technologies. 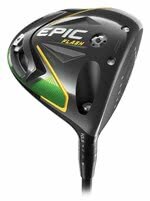 The brand’s revolutionary Jailbreak technology is used once again to stiffen the clubhead for more face flex and greater speed. An all-new triaxial carbon crown is also employed, for more weight savings and increased MOI. In the standard model, a 16g sliding adjustable perimeter weight (12g in the Sub Zero) is included for even more shot shaping customisation. The results??? 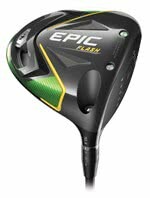 The Epic Flash Drivers provide up to 2mph more ball speed than Callaway’s previous models. “Callaway’s new driver is seriously unlike anything I’ve ever hit before. The ball speed, distance, sound…it just pushes the boundaries of everything I thought I knew about driver technology. I cannot wait until golfers all over the world try it out,” says five-time major winner Phil Mickelson. In the fairway woods, Callaway has once again used the new Flash Face Technology to help ensure more ball speed at impact. 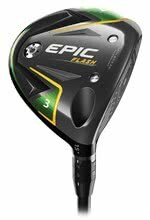 Like the driver, the Epic Flash Fairways also employ Jailbreak as well as a forged 455 Carpenter steel construction that combines with the innovative Face Cup technology to produce even more speed and greater forgiveness on both on and off-centre hits. A new and lighter OptiFit hosel creates a lower CG location for improved launch. In the Sub Zero Fairway Wood model, adjustable sole weights (16g and 2g) can be swapped from front to back for further launch and spin rate customisation. “As many golf fans know, fairway woods are my go-to clubs, especially off the tee. What’s most noticeable with Flash is that the technology speaks for itself…the ball seems to travel forever. And as for the look at address – the shape is ideal,” says Open winner Henrik Stenson. 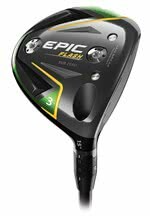 The Callaway Epic Flash Woods are available to pre-order from GolfOnline from January 18, 2019.